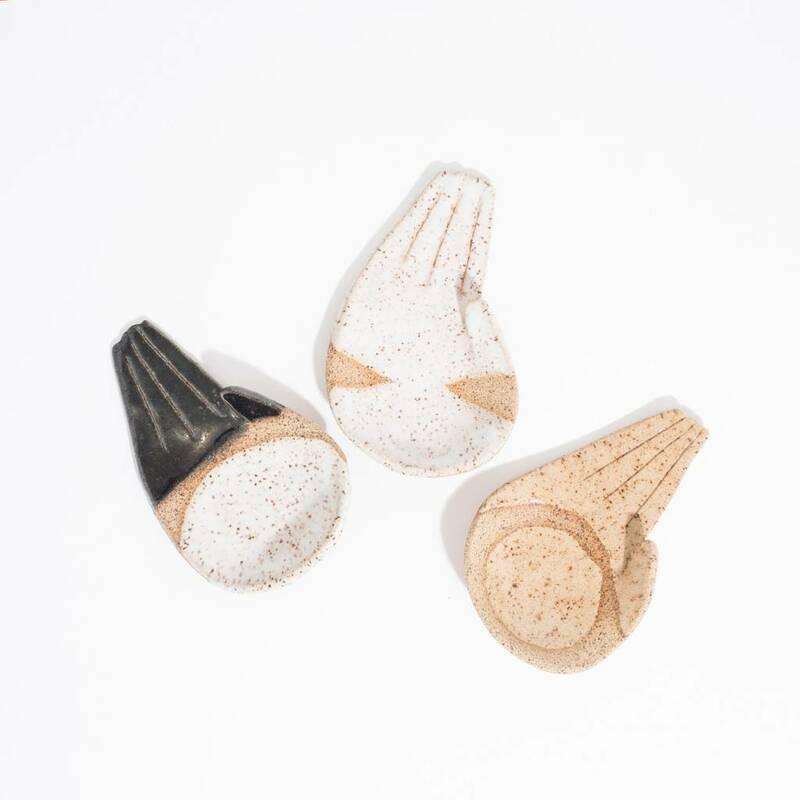 These handcrafted ceramic hand plates are not only perfect to hold your palo santo incense, sage, or jewelry, but also as a symbol to bring these things into your life. Measure approximately 4" long and 2.5" across. Available in natural, white, black.